Project Managers provide expert advice to help clients set up and build their new office, restaurant or retail space. They don’t do the physical construction work themselves, but good Project Managers will pull together and manage the right team of designers and contractors so that the project is delivered on time and on budget. If you are taking a new space for your business and have little or NO experience in successfully delivering fit outs, then you absolutely need a Project Manager. Having someone experienced doing all of the thinking for you and following best practices will get you to the end goal a lot quicker – and often a lot cheaper than if you try to do it yourself. Provide property and space planning advice – before the client signs a lease it is vital that we identify that the space really does suit the purpose. Whilst the size may be sufficient, poorly placed columns and pillars can cause major problems with space planning. We would survey the site and through effective space planning, make sure the space can deliver all it needs to. Increase efficiency: by bringing in the experts, the years of experience will help get to the end goal (and interim milestones) quicker as there is little room for risk or mistakes. From identifying the right location to the right contractor – a solid Project Manager can shave weeks of a project timeline. Contractor Qualification: There are so many contractors that talk a good game and have wonderful brochures, but how many of them can actually deliver what they say, when they say... Very few. Putting the contractors through a rigorous qualification process helps identify the good from the bad. Speaking to previous clients and inspecting previous work of the contractors certainly tells you a lot if you know what you’re looking for. Manage costs: Delivering on time and within budget are two constraints of any project. The project manager controls not only monetary costs but also the people resources, both internal and external, and the equipment costs as well. One of the HUGE benefits of working with an experienced Project Manager is that they know what the market costs are for almost every aspect of the build meaning all proposals will be fairly priced. Manage time: time is arguably the biggest challenge of any project. It’s vital that a close eye is kept on the project schedule by examining milestones, key dates and the critical path throughout the project lifecycle. Experience is so important in order to identify potential risks before they happen to keep the project running like clockwork. Deal with potential risks: there is always a chance for potential risks in a project no matter how well planned. A project manager will identify potential risks, assess the impact they may have and consequently make a plan to avoid or manage them. The aim of risk management is to reduce the undesirable consequences (impact) to a project of a risk occurring. Communicate with stakeholders: Once the project is up and running, it is crucial to communicate progress of the project to both the project team and the stakeholders. The Project Manager communicates the goals and performance to business leaders in a regularly scheduled report and frequent calls. Why should I use a CZ Project Manager? Our team has collectively over 100 years experience of delivering projects of all sizes. There are some superb contractors in Dubai but there are plenty more that are not. 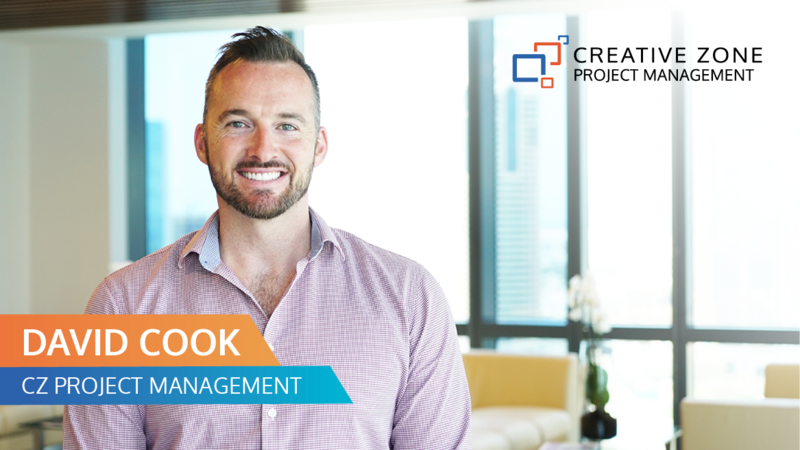 By bringing in a Project Manager it means your project is in safe hands and is being controlled and steered by someone who is doing what they do best – leaving you to focus on what you do best. There is a cost attached to anything that carries great value and quality. One thing to remember that whilst there may be a nominal cost attached to hiring a professional consultant to get your project over the line, they will save you a small fortune in variations & delays. In the majority of instances, the entire cost of the Project Manager should be recovered through the value they add with negotiations, planning and knowhow. A straight forward project of less than 10,000sqft would normally take no longer than 6 months if planned and managed effectively. This typical timeline takes into consideration the approvals for the works (which can take several weeks), the build itself and then the certifications required at the end in order to occupy the space. What are the main causes for delays? Client requested variations during the build: Any changes to configuration of the space usually means a new set of drawings & approvals are required which can ad weeks. A change of materials or furniture during the build can often mean long lead times on the replacement products which can cause delays. Late payments: Contactors normally work to a very tight budget on projects, with the ‘profit’ normally coming from the last payment or two. If a client is late making their progress payments to the contractor(s) this can often have a knock-on effect. Authority Approvals: There are a number of approvals that every project needs to complete in order to obtain the necessary permits certifications before work can start or doors open for trade. A change in approval criteria can cause weeks of delay before the project even starts. Public Holidays: There are a number of public holidays in the UAE, some lasting for weeks, which often means reduced working hours (or days off) for private and public sectors. If these days have not bee factored in to the original schedule it can be VERY challenging for the contractor to make up that time at the back end.